For my STEP Signature Project, I decided to accept an internship with Anthem Inc, a Forbes Fortune 50 company. I worked at Anthem in Virginia Beach within their Corporate Clinical Quality Management Department on their Strategic Initiatives Team. With this internship I worked on launching an analytics tool for internal employee use, completing deliverables and communications, and took part in many different projects over the course of the summer. The opportunity to work within a large-scale health insurance empire was an incredible test of my abilities and knowledge which would not have been possible without the funding from STEP. For me, this experience changed me professionally. I always was fortunate enough to have a job prior to Anthem, but nothing even comes close to working for a values-based company with over 50,000 employees. I learned the culture of the company, how to interact professionally with people in executive positions, how to market myself, all while strengthening my work ethic. Through this opportunity I was better able to grasp the type of job I would like to have post-graduation and what it will take for me to get there. My assumptions of the workforce changed over the course of my STEP Signature Project because of the people I met throughout my time at Anthem. I think it is a wide known stigma that business people with authoritative positions have little personality and do not care about their employees or product and that all they care about is the money. However, with this job I found that all to be completely false. The leaders at Anthem would come into work every day looking to make a change in people’s lives. Whether it be members or employees, the leaders at Anthem strive to change the world of healthcare. During a normal work day at Anthem I would primarily interact with the Strategic Initiatives Team. This team consisted of seven different employees and one Staff VP. The dynamic of this team was interesting because I only worked face-to-face with two employees and the Staff VP. The other five people on our team were virtual so they were scattered throughout the United States and I never actually met them. I think this was a big learning curve for me because I am used to working face to face with people and not having to schedule time for a phone call just to ask a simple question. Even though this was by far the most difficult thing for me to grasp, by the end of this summer I was extremely comfortable with it. I think moving forward this was a great experience because most larger scale companies are becoming more and more virtual. Since I got exposed to it this summer I was able to get out all the minor setbacks that come with working alongside virtual coworkers and get into a normal rhythm. During my STEP Signature Project, I was introduced to many leaders within the company through one on one meetings. By being exposed to higher up VPs and getting the opportunity to connect with them on a personal level I was able to become more comfortable and confident speaking to people that hold important positions such as the Chief of Staff, Staff VPs, and Executive VPs. I feel that this opportunity to network with such dignified people will only benefit me in the future. As I apply to the rotational program that Anthem has to offer for post-graduation, having these VPs on my side will boost my application and increase my likelihood for an employment offer. By becoming more familiar with a professional work environment and being able to efficiently communicate with higher ups I feel more prepared to begin my career. With the help of my STEP Signature Project, I was able to sharpen my skillset, uncover more opportunities available to me with a Public Health degree, and set a foundation for what I would like to do after graduation. This professional transformation was extremely significant for the current stage of my life because I am preparing to enter the workforce post-graduation. My STEP Signature Project taught me immeasurable skills that will allow me to enter this next phase with confidence. My project taught me how to work side by side and communicate with experts and professionals, how to ask for help, and how to perform on the same level as people that have held careers in a certain field for years. The personal and professional change I underwent this summer is something I hope everyone that hopes to gain employment after graduation is able to do. Nothing makes you feel more prepared than learning to work a full-time schedule side-by-side with professionals and experts and without my STEP Signature Project funding it would not have been possible. Provide a brief description of your STEP Signature Project. 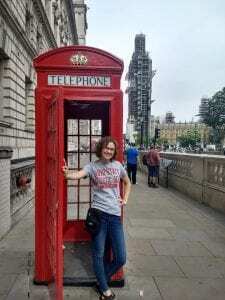 For my STEP Signature Project, I studied and interned abroad in London, England for the summer (from June to August) with Arcadia University. As a part of the program, I got to take a Feature and Travel Writing class, as well as work as an Editorial Assistant Intern with Simon and Schuster, an international publishing company. I’ve also discovered a place full of people with ambitions and worldviews that are surprisingly similar to my own. Through the people I interacted with, I realized that our neighbors across the pond – and even our neighbors only a few states away – have so much to share with us to help us grow. I’ve developed a much larger perspective of the world I live in, and have become a more accepting individual along the way. My internship with Simon and Schuster was the most important and impactful part of my experience abroad. The circumstances aligned perfectly, and I was given a lot of responsibility in my role at the publishing company, as well as being placed in a department full of the most upbeat, encouraging people. As the Children’s Editorial Assistant Intern at a time when the Editorial Assistant had just moved on to a different job, I got a real feel for what work would be like in a publishing company. My experience in that atmosphere, with those people, gave me confidence in my decision that I want to be a book editor after graduation. Interacting with Londoners on a weekly basis made me feel like a local myself, in a way you just don’t feel from simply vacationing. I got to live, study, and work as Londoners do, and felt almost more at home in the foreign metropolis than I do in my small home town. I really came into my own this summer, as cliché as that sounds, and discovered that I thrive on the busy, never-ending activity that the streets of London offer. Though it took a few wrong turns and some out-of-the-way Tube rides to figure out how to navigate, by the end of the summer I was confident enough in my own abilities to even give tourists directions! An ocean away from everything that was familiar, I found myself making a home in London with the people I had the privilege of sharing the experience with. The friends I made from the program itself live all over the United States, and come from such different backgrounds than my own, but we found ourselves coming together through our mutual uncertainty of how to get along in London and growing as travelers, as Londoners, and as individuals. Without the women I befriended this summer, I wouldn’t have been as confident stepping out into uncharted territory. Thanks to our mutual love of travel and our passion to see and experience as much as we could this summer, the four of us took several weekend trips to the beautiful places the United Kingdom had to offer. It was thanks to the traveling (especially to Scotland, which was a three hour train ride) that we were able to learn more about each other. We had such deep, thoughtful, meaningful conversations while we were riding through the countryside, and through self-reflection and discussions, I learned more about who I was and what I wanted out of life. Thanks to my internship, I can move confidently forward with my final year of school, knowing exactly what I want to do with my life once I have that diploma in my hands. I feel invigorated and motivated to push forward, now that my eyes are set on a career as an editor, and everything I do can be in service of that newfound goal. I also spent a good deal of time in London self-reflecting, thanks to several late night (and early morning) conversations with the new friends I made on the trip. Because I wasn’t around people that I knew, I discovered who I was without all the expectations and assumptions my long-time friends had about me. I was able to figure out what kind of person I was, who I wanted to be, and discovered that though I tend to be very self-deprecating, I have many characteristics that I actually like about myself. I’ve struggled with self-confidence and believing in myself for my entire life. Flying to a new continent for a summer all alone was a huge leap of faith, one I almost didn’t have the courage to do. 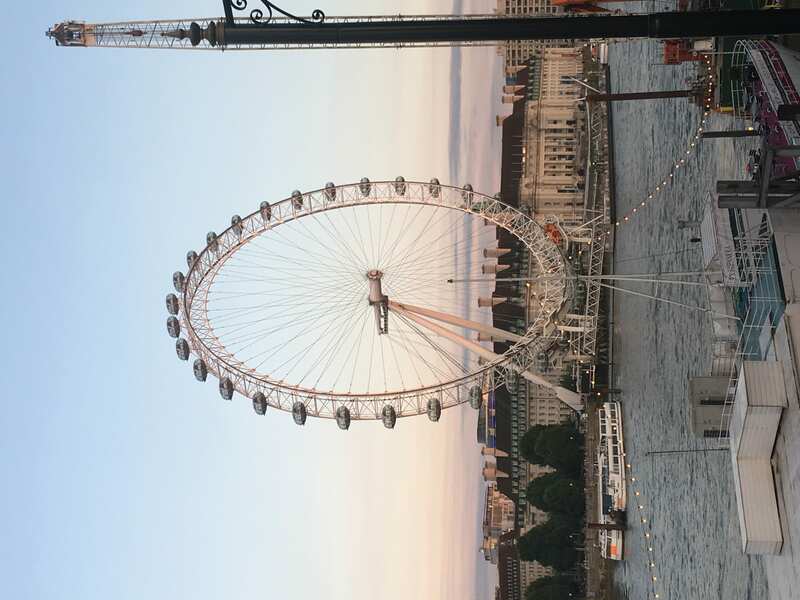 I had to learn how to trust myself in London, because there was no one else there for me to lean on. And even though it started out as one of the most daunting tasks of my life, I broke free from my self-doubt and developed, somehow, into a confident, independent person. My STEP Signature Project was an Accounting Internship at a company called Velosio in Dublin, Ohio. During this experience I was able to learn about the field of accounting and actively work on different tasks to enhance my knowledge. This entailed credit card reconciliations, payroll assignments, and various other financial tasks. Throughout this experience I was able to learn more about myself and what I still need to learn in order to be a successful accountant. In the beginning of the internship I had done very little actual accounting work outside of class, so I was nervous to see how my classroom skills would transfer to the outside business world. I was challenged and pushed every day of the internship, but I worked hard to be able to learn. Now I feel that after this experience I have chosen the correct career path and am way more comfortable in my future field. These skills that I learned will benefit me for my entire adult professional life. When thinking about the overall experience of my internship there were a few key events, relationships and activities that led to my transformation to a more polished business professional. The first was the relationship I established with my boss, coworkers, and other interns. I came into my job not knowing anyone and a little intimidated by the seemingly vast knowledge that each of these professionals displayed. However, very quickly they taught me the necessary skills to succeed and were very open and kind to me. I felt free to ask questions if I needed to and this helped me learn quicker. By the end of the internship I felt like I had gained valuable connections with each of the people I worked with daily. An event that helped me transform into a better business professional was the monthly town hall meetings and final presentation. In the meetings I was able to see how the work I was doing was making an impact on the company as a whole. It allowed me to see how different facets of the business all contributed to our company’s end goal. In addition, the final presentation at the end of my internship allowed me and the other interns to display what we had learned and track the progress that we had made. It was a fun project to work on because I was able to collaborate with smart people and display my knowledge at the same time. Lastly, I would say the daily activities that I would do to assist the accounting team helped me tremendously. I was able to see what it is like day in and day out being an accountant. I was also able to apply many classroom skills to the real world in dealing with the company’s financial reports. It was interesting to see how much I could push myself with a somewhat limited knowledge. All of these things led me to transform from someone with a small accounting background into someone that is comfortable as I head into my profession in the future. 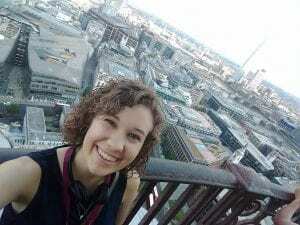 The following is my STEP reflection on my amazing education abroad trip to London! For my STEP Project, I traveled to London for a month as a part of the London Theatre Program through the OSU Theatre Department. While I was there, I attended 31 theatre performances in 30 days, as well as visited Stratford-upon-Avon, and exploredmuseums and galleries. While England’s culture is not vastly different from America’s, it was my first time being out of the country for an extended period of time. As someone who is not as excited about world traveling, I found England to be a great balance of similarities and differences from American culture. It allowed me to be comfortable and enjoy myself without worrying about sticking out for cultural differences. One of the biggest cultural differences was in the theatre, which is my major and the focus of the program. In London, it is common for members of the public to go see theatre; going to see a play is not as big as an event as it is in the US. At the theatre, people dress more casually, but there is a deeper appreciation for theatre in the general pubic in London. Plays, especially new plays, are much more common, and work is acceptable even if it still needs some edits. In the US, it is much more difficult for new plays to get off the ground. Experiencing the theatre culture in London opened my eyes to what cultural appreciation can look like in the theatre world. The vast appreciation of theatre in London seems almost unachievable in the US to me, but I hope our culture can move in that direction. There were many events that had deep impact on me. 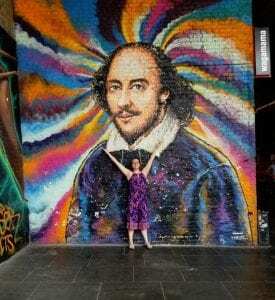 The fist that comes to mind is visiting the grave and birthplace of William Shakespeare. Shakespeare’s works have always been important in my life, and this program had a slight focus on Shakespeare, having us attend three different plays written by the Bard. I have taken an unofficial Shakespeare focus in college, and do my best to take a class or two on Shakespeare every semester. Because of my love for the great author, it was almost a religious experience seeing Shakespeare’s birthplace and grave at Stratford upon Avon. The experience made a prolific figure more real to me; it reminded me that he is not a myth, he was a real man who was able to write so much theatre. As I grow older, I keep learning that even the most idolized people are just people nonetheless, so it was a transformational experience to get to know Shakespeare better. Another event on the trip that had a deep impact on me was the ability to see OSU graduate Sifiso Mazibuko in Hamilton: An American Musical. While I had already seen Hamilton in Chicago, it was awesome to have another chance to see it abroad. Sifiso, MFA in Acting 2015 OSU graduate, was the stand-by for Aaron Burr, one of the leads in the production. This means he not the main person who plays the part, but he can play it at any time if the actor is out. 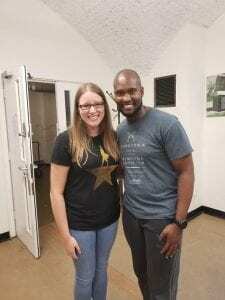 Three days before I saw the production, Sifiso came and spoke to our class about his experience as an actor in the show. Talking with him was amazing, because not only was it great to see a successful fellow OSU Theatre Department person, but it was great to hear about everything he had been working one since he left college. Sifiso’s stories about his wife, who is also an OSU Acting MFA grad, struggling to get work in London was a reminder of why I did not want to go into acting in the first place, and that I was correct in pursuing outreach theatre instead of acting. Sifiso and I after his talk with our class! Another transformational moment for me was being able to see shows in and simply work on schoolwork in the National Theatre. In London, the National Theatre is funded by the government and puts on very high quality productions. Recent productions that have had tours in the United States include War Horse and The Curious Incident of the Dog in the Nighttime, two of my favorite productions. However, the theatre space is more than just a lobby and a theatre, it is also a café, restaurant, and free public space. Several times throughout the trip, I went to the National Theatre to simply sit and work on homework, as I might do at Starbucks or the library. In that moment, I felt like I was truly a theatre major, as I sat in a place I have wanted to see theatre in since high school. The US does not have a National Theatre equivalent, and in the moment I realized how much our country is missing out for theatre makers. One of my final favorite transformational moments was seeing a new play entitled Jellyfish. The 4 character play stars a woman with down syndrome, and also includes a man with autism. Both of the characters were played by someone who is diagnosed with the same condition as their character. As someone who works with theatre people with disabilities, it was awesome to see people with disabilities on stage in a play that was meant for both adults with and without disabilities. The show talked about a lot of serious topics, but did not dumb them down for the audience because it was about people with disabilities. The play gave respect to the disability community in a way I rarely see in any form of media that included an actor with a mental disability. I was excited and inspired to see a population I care so much about on stage in a real to life manner. The broad amount of theatre I have seen abroad has expanded me as a theatre goer, a theatre scholar, and a theatre maker. While the trip did not change my career goal, which is to make and teach arts programs for people with special needs, it did inspire me to keep seeing all sorts of theatre, regardless of the narrow focus I have on the type of theatre I am making. I was inspired to give new plays a better chance, while in the past I have always shied away from watching new plays. With the amount of small theatre companies in Columbus, I am grateful that I have been inspired to keep seeing new shows, because I am in a great place to access new American theatre. I don’t remember falling in love with Shakespeare and theatre in general, but this trip allowed me to fall in love with theatre all over again. It reminded me of the importance of the work I do, and gave me renewed pride in my theatre major. 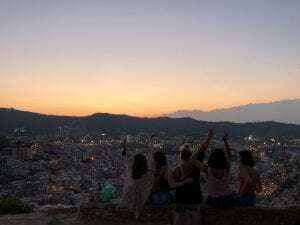 This past July I spent 4 weeks studying abroad in Barcelona, Spain through ISA. I attended the Universidad Internacional de Menédez Pelayo where I took two classes which allowed me to complete all of my credits for my minor in Spanish: Spanish Cinema and Spanish Art and Architecture. Traveling and studying abroad has opened my eyes to the difference in culture and gave me many new experiences. 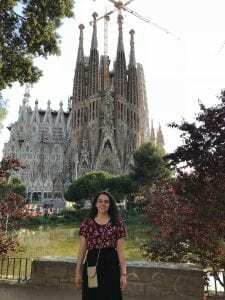 Before traveling to Europe, I was a little nervous and did not know what to expect, especially considering this was my first time being in Spain alone for such a long period of time. I had the opportunity to travel to Spain in 2015 with my high school, so I was slightly familiar with Barcelona saw many of the same landmarks I saw during my first trip. Thankfully, I knew a few people that were doing the same program as me and quickly made more friends once I got there which made the transition easier. I have always considered myself as an independent person, so going on this trip really allowed me to find myself and take a break from a lot of the technology we surround ourselves with in America. Staying with a host mother during my stay was the most influential aspect of my time in Barcelona. I had the opportunity to stay with a woman named Eva who lived in an apartment in the Eixample District. She did not speak English which forced me to use and practice my Spanish skills on a daily basis. This helped my confidence while speaking immensely and I even learned some new words thanks to her. Eva was originally from Barcelona and while we traveled on the weekends, she traveled to see her daughter and grandchildren. For dinner, we always had salads that Eva had made us followed by traditional Spanish fruits. 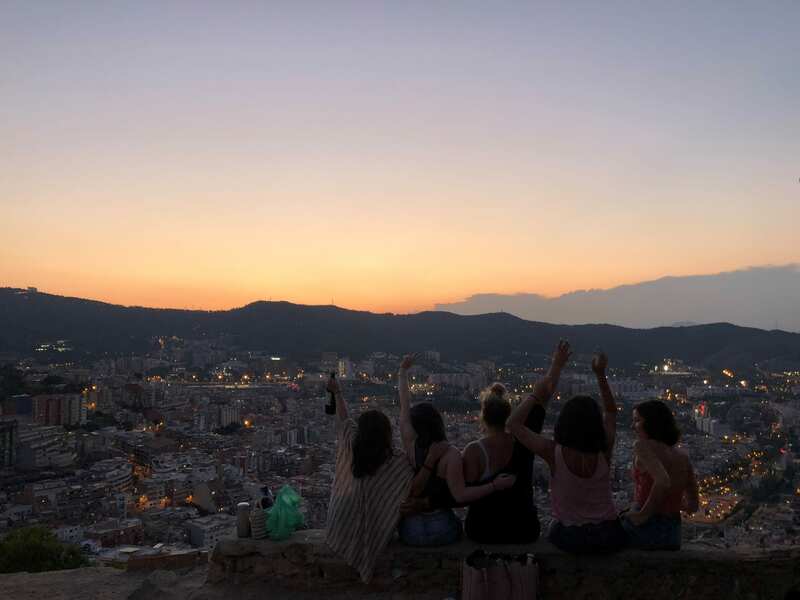 Choosing the homestay option enhanced my time in Barcelona and I feel as though I would not have had the same experience if I had lived on my own mostly because I was forced to use and practice my Spanish every day. Every weekend during our program, we had the option to travel. We had planned excursions to go on most weekends but had the option to skip them and plan our own trip. A group of my friends and I chose to go to Rome for our last weekend and it was the best trip of our lives. 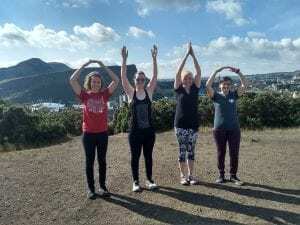 It taught us how to get around unfamiliar areas and while we experienced a few bumps in the road along the way, we were able to see all the major landmarks and eat amazing food. I met so many wonderful people during my travels that have made an impact on my life. I also feel as if I became more mature while I was abroad. On most of my other trips I have gone on in the past, they were usually with family, but being able to travel to other countries with just a small group of friends was a totally different experience. 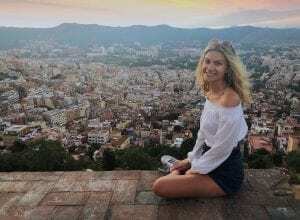 Overall, studying abroad in Barcelona allowed me to become more confident with my Spanish speaking skills along with becoming even more independent. It also showed me that I want to continue to travel and experience other cultures as well. I have also begun to consider the possibility of moving out of the country for my future career. This was the experience of a lifetime and I strongly urge that others study abroad to experience learning in a different culture. This past 2018 summer, I asked STEP to fund me on my study abroad to Suzhou, China. There I not only had the opportunity to experience the many wonders of China’s culture and society, but I also spent a large chunk of my time participating in Ohio State’s Summer Intensive Chinese Language Program based out of Suzhou University. Visiting China to me was more than just an academic and career oriented experience for me, rather it impacted me on more of a personal level. This study abroad program did not only give me my first opportunity to visit China as a student, but it allowed me to return to China for the first time since I was adopted from China twenty years ago. Every adoptee has a different experience when they first return to the country they originated form, and I had no idea what mine would be like. Since my ethnicity is Chinese, I was afraid people would judge me for the foreign clothes I wore and the poor mandarin I spoke. However, I experienced the exact opposite of discomfort and insecurity there. People did not seem to care for these small differences, and if where I came from came up during conversation, people were even more welcoming after they learned I was adopted. It was in China, I was finally able to come to amends that while my nationality is American, I will always be ethnically Chinese and I am more than happy to embrace that side of me now. In fact, by the time it was time to go, I was not ready to go and the moment I boarded my flight back to the States, I was ready to return the homey city of Suzhou. Without this opportunity to study in China, I would still be wondering whether or not China would accept or reject me. Being 100% immersed in to Chinese society as well as having language classes and daily study sessions with our language partners forced me to not only improve my Chinese but also use my Chinese. As the summer went on and my language skills improved, I began to think in Chinese and mix Chinese into my English without realizing it. Suddenly I went form not being able to verbally form a single sentence to having in depth conversations on societal differences with my language partners. My studies and especially my time spent with my language partners allowed me to gain the confidence I needed to use my Chinese in not only every day life but also with strangers. My improved language skills also allowed me to blend in to Chinese society, despite the clothes I wore or non-native accent I had when I spoke. During my stay in China, I became confident enough to use the transportation system all over Suzhou and many other cities in China, had not few problems ordering food and paying for anything I needed, and I finessed my spiel on how I was adopted from China as a baby. All of this and more gave me the ability to blend in with Chinese society until they saw my American Passport and really experience the culture in China. By the end of the program I was using every day slang and the speed of my speech had picked up drastically. Before this opportunity, I would have never pictured myself living in China, but now I could see myself living there for a few years here and there. While this experience gave me more comfort as an adoptee, this change was also significant to my academic studies. I am currently writing an undergraduate thesis on “The Chinese Marriage Trade as a Gray Market” (with a Focus on North Korean Women). My undergraduate research combined with my own curiosity on the mass foreign adoptions that occurred in relation to China, led me to do my study abroad’s program research on “China’s Opinion on Marriage”. I learned that the basis of Chinese society is family and without marriage a family cannot legitimately exist, so it happened to be the perfect topic for me to research that summer. On an academic level, gained some in field results to support my undergraduate thesis and on a personal level, these results allowed me to let go of some of the resentment I had for my situation for so long. Taking part in this program was one of the best decisions I have ever made in my life. This past summer I spent 5 weeks in Barcelona, Spain with ISA programs taking classes at the Universidad Internacional de Menédez Pelayo. In Barcelona, I lived with a host family in the Eixample district and took two classes which count as credit towards my Spanish major: Spanish Art and Architecture and Spanish Film. 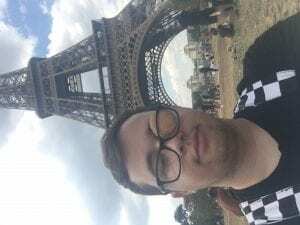 During my stay abroad I had a lot of time to evaluate myself and tune into how I was feeling to evaluate what in my life really made me happy and what I wanted to pursue. Going abroad alone was at first a little scary, but it pushed me outside of my comfort zone to be a more confident and outgoing person as I navigated a new city and made new friends. Miles away and in a different time zone from my everyday life in America, I really could reflect on what were things I geniunely missed and cared about. I also realized what objects were and were not important to me, as I was living out a small suitcase and so it felt nice to de-clutter my life of material objects and focus on just what I needed. One factor that really influenced my time abroad and made this program a more transformational experience was living with a host family. My host mother and father were originally from Argentina, but had been living in Spain for 8 years because their 3 children all lived and worked in Barcelona or Malaga. It was interesting and insightful to talk with my host mother, Marta about her experiences in living Europe and South America and she encouraged me to think about different cultural identities outside of what I knew in America. She also pushed me to try new foods I normally would have never tried before (including dishes that were typically Spanish and were native to Argentina) which I actually really enjoyed even though it was a bit outside my comfort zone. A part from my actual host family, I did share a room in our apartment with another ISA student who coincidentally was also named Katie. Though we were strangers before moving in together, I feel like living with her made my experience in Barcelona so much more fun because I always had someone to adventure with and try new things and share my experiences with. It helped me grow as a person to have an unbiased second opinion who I could bounce my thoughts and ideas off of and I feel so fortunate to have developed such a close friendship with Katie in the short amount of time we spent together. At the end of my trip, after classes with ISA had ended, I made the decision to hike the Camino de Santiago, a week long 113km pilgrimage to Santiago de Compostella in the northern corner of Spain. Though this was technically not apart of my program, the experience was something challenging and exciting that contributed to my overall experience in Spain. I am not a very athletic person so I really pushed myself and worked harder than I have in a long time and during my hike I had a lot of time to reflect on my experiences in Spain and how I wanted to proceed with my life when I got home. My hike on the Camino was something I will remember for a lifetime and is something I’m incredibly proud to have been able to do on my own. Ultimately, my experiences in Spain are things I will remember for the rest of my life and I have forever fallen in love with the city of Barcelona, its culture and its people. Moving forward, I hope to translate my more technical Spanish skills along with this cultural appreciation into hopefully a career as I will be graduating in the Spring. I also feel confident that I can communicate to employers my passions and values, as those were two major things I was able to reflect on when living away from America. 1 . My project was seeing a ton of shows. 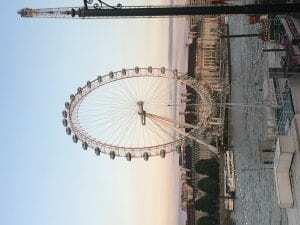 I personally saw 26 shows in 32 days, while also visiting some iconic sites such as Big Ben and Parliament. We also had some group meals at restaurants to taste some of the food of the land. 2. I had never been out of the country before, so my world view was very narrow. I had only known what I had seen on TV. My assumptions of Brits were that they were very classy and polished. However, living downtown in the city of London, I saw a very opposite view of what television has told me. London was really like any other city: people going to work, going shopping, homeless people, etc. They had both gritty and clean public transportation. It made me think that every other city has its differences, but we aren’t all that different. I also became very secure with myself as an actor. I was a little timid seeing how good the professional actors were, but I could definitely see myself up there along side them. 3. The events that changed my timidness about being an actor were the 26 shows that we saw. Each one that we saw made me more certain in myself. Well, the good ones at least. I was thinking back on all my training that I had done, and I saw some of the actors executing that training. It was almost a reality check for my scared self. I need to be more confident! I also have a bit of a downfall in that I am not too great at working in groups, which is exactly what theatre is all about. I interacted with all the people on my trip, but I made a very close knit group of friends. We are all theatre makers, and, in fact, we are all in a show together! Olivia wrote it, Ben, Olivia, and I are in it, Olivia is directing, I am assistant directing, and other Ben is the assistant stage manager! We are making great work together. In terms of seeing the “real” city of London, we made plenty of trips to all the different neighborhoods, and it functioned just like any other city. There were the nice areas, the sketchy areas, and everything in between. Having to go visit different neighborhoods opened my eyes to the kind of living that goes on in London, but also how it relates back to how we do it here. 4. This change was significant for me because viewing theatre as an actor is only beneficial. We saw shows in venues that held 20 people and venues that held 1,500. That showed me how to work with the space given, which is a super important skill as an actor. Adaptability can take you so far in this world. It is also valuable for me because in order to succeed, you have to know your history and references. We saw plays by up and coming artists, but also some classics. This helps shape my character as a human and my character on stage. This summer I had the opportunity to work as a Youth Ambassador through No Kid Hungry for Children’s Hunger Alliance in Columbus. My position as a YA consisted of overseeing four open summer meal sites at elementary schools around Columbus. These meal sites were open to all children ages 1-18 and not only gave kids free breakfast and lunch, but provided them with activities, programming, and nutrition education throughout the summer. I had many new experiences and opportunities this summer. I was working with populations who experienced varying levels of poverty and instability in their home lives. I was exposed to many parts of Columbus that are starkly different from Ohio State’s campus. Working at these summer meal sites really introduced me to the levels of food insecurity many residents of Columbus face, and how vast of a problem it is in both this city and the country. I became more comfortable working with diverse populations, as well as children who have faced trauma and violence, and act out because of it. Beyond everything that I was exposed to, I also gained a great deal of experience working within a professional organization. My organizational, communication, and problem-solving skills were all challenged and improved through this opportunity. I learned I work well under pressure, like to problem-solve, and like to work with others. Although it was a great summer, our program definitely faced some challenges along the way. As I mentioned previously, many of the kids who came to our open meal sites came from quite unstable families and neighborhoods. Because of this, they often had bad behavior, didn’t listen or participate, and were even violent towards one another. In order to maintain a safe and fun program, we had to implement much more structured programming and bring in more staff as the summer went on. I had to learn to be patient with these kids and understand that the trauma and violence that they’ve experienced is what is causing them to act out. These kids really opened my eyes to what many families and kids endure when living in an unstable environment. Although our program could not solve all of their problems, or the issue of poverty and food insecurity as a whole, it allowed children to have a safe, welcoming, fun environment to spend their summer days at. Some of the relationships that impacted me this summer were those with my coworkers. I was in charge of supervising many of the site staff at the different schools. When issues arose between staff, with timeliness, or with solving on-site issues with kids, it was my job to mediate and solve these issues. As a college student, it took a great deal of self-empowerment to feel comfortable and confident with this level of responsibility. I learned how to communicate effectively, with kindness and patience. When situations arose that were out of my control, I had to know when to move to a higher-up individual to help me solve the problem. This internship gave me a lot of great experience working within a public health organization. I feel confident seeking out employment post-graduation because I know that I can handle working within a professional organization of this kind. It also confirmed for me that public health is the right field for me. I am eager to work towards positive change, and dedicate my time to doing something that I know is making the world a better place. Being able to work with diverse populations and in unfamiliar communities is a skill that I know feel confidently that I have, and will benefit me greatly in my future endeavors. 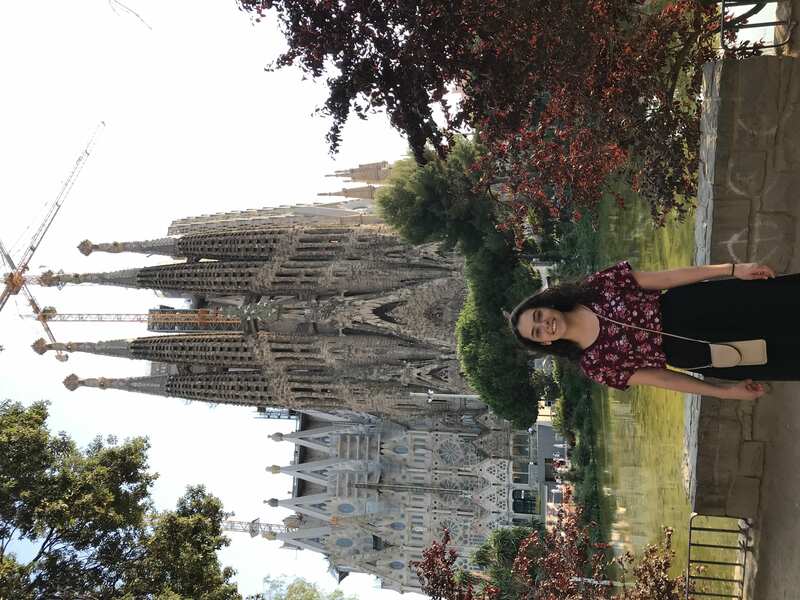 I went on a six-week study abroad program in Toledo, Spain. I took classes in La Fundacion Jose Ortega y Gasset – Gregorio Marañon located in what used to be a convent in the heart of the city. During the program, I lived with a host family which allowed me to interact with locals in the suburbs and then would take the public bus to attend my classes in the evenings. This trip and living with a Spanish family really transformed my view on life. It made me re- evaluate the importance of family and community. It made me want to take more time to appreciate the people in my life that I truly care about. It also gave me a newfound appreciation for stillness and relaxing. I am a very scheduled person by nature. I am used to doing something at all times; I used to feel almost anxious if I was not actively staying busy. During this trip, however, I learned an appreciation for taking time to rest during your day. There is value and benefit to not having something to do at every hour. Also, I used to reserve the weekdays for basically just class, homework, and working. However, I no longer think that I should keep waiting until the weekend before I allow myself to do something fun. I now want to incorporate time for visiting family and friends or doing something enjoyable during the middle of the work-week because I would like to make my connections with people and myself more of a priority in my life. This experience also gave me a huge increase in confidence and independence, as well as a desire to become a more global citizen. 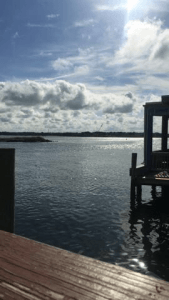 I had never traveled solo before, and I was quite intimidated at the thought of leaving the familiarity of my home country to go to a place where I knew no one and my language skills were below average. After realizing that I can navigate my way through a foreign country and overcome the problems that arise along the way, I felt really empowered as a person. Traveling abroad has made me more closely examine the way I view my own culture and sparked curiosity to learn about other cultures and visit more countries. Through the practice and use of my Spanish, I also became less self-conscious about my ability to communicate in another language. I’m a long way from perfect, but seeing how far I had come in my language abilities was encouraging and only gave me more motivation to seek out opportunities to further develop my Spanish in my hometown. My participation in this program also gave me a greater appreciation for the arts. A large majority of my university classes in the United States are science based b ecause I am a Molecular Genetics major. While in Toledo, however, I decided to take two art focused classes. One class taught about the history of architecture and the other was a class on famous Spanish painters. While I still love science, I was much more fascinated by these classes than I expected to be given the drastic switch in course topics. I became aware during my time in Toledo that when you actually understand art, it makes it a lot more interesting. I now know you can learn a lot about a country through its art and architecture. In this way, both of the classes were really helpful in increasing my understanding of the culture and history of not only the city I was staying in, but also Spain and Europe as a whole. I really enjoyed walking around the streets of various cities and being able to identify key characteristics in the architecture of the buildings, applying in real life what I had learned in class. My relationship with my host mother was probably one of the biggest factors in my transformation. 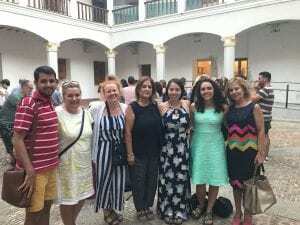 She immediately welcomed me into the family and included me in activities in a way that made me feel really integrated into the Spanish culture, at least of her family and neighborhood. Observing her relationships with both her family and her neighbors inspired me to make some changes in my own life. It was evident from watching her life that her family and friends are of the utmost priority to her. Almost every day we ate lunch together as a family and even her extended family would stop by the house multiple times a week. At night she spent time with her neighbors and friends in what they called the “fresco.” The “fresco” was the name for when all of the female neighbors would bring their lawn chairs down in the street by the pool and just sit spending time together and talking. This nightly reunion happened every single night I was there without fail starting around eleven. I really enjoyed the strong sense of community and support it created. It made me rethink the amount of time I devote during the week to connecting with my friends and family. Normally when I am stressed by my workload, I tend to seclude myself, but I’ve learned it can be beneficial to your well-being and productivity to take a break to relax with people that love you. After following my host mom around, I now want to set aside time during my week to be with my friends and family so that my life is a more accurate reflection of my priorities because people are what matter. Planning a couple of weekend trips with my friends really transformed my confidence and taught me the very important traits of adaptability and problem solving. When I first arrived in Madrid off of the airplane I was excited but really nervous. I was flustered as I tried to get around the giant international airport to find the bus that was supposed to pick me up, worried that I would miss it. I had no idea what I was going to do if they left me behind. After traveling several weekends with a friend during the program, I gained a lot more faith in myself. I realized that I did not need to panic if something did not go according to plan because I could figure things out. Being able to be flexible can really be an advantage. Just before our trip to the northern coast of Spain, our transportation got cancelled. It did not mean the trip was over though, we just had to change our bus tickets and we ended up getting to stay a day longer. I really noticed how completely different my mentality was from the beginning of the trip when I spent a full day in Madrid completely alone the day before my return flight. I had a great time visiting parks, touring a museum, and eating dinner with people I had met that day at the hostel. The following morning as I navigated the subway and returned to the once stressful airport by myself now feeling at ease, I felt more empowered to be able to handle the inevitable challenges of life, especially in the United States where I would have the advantage of my native language. My art classes with my professor were also very influential in the transformative nature of this experience. I had the same professor for both of my classes and her expertise and enthusiasm were phenomenal. The passion she had for teaching art and architecture was contagious and inspiring. She took us out of the classroom and around the streets of Toledo during multiple classes during my architecture class and graciously explained any question. It really increased the depth of my understanding to be able to actually see what we were talking about and practice as we were learning it. It made me notice little details in the city I was living in that I would have missed otherwise if I had not taken the class. There was a field trip to the Prado museum with the class over the master painters of Spain. I had never taken a formal art class before so during the admittedly few trips I had made to museums in the past, I think I missed out on a lot due to a lack of understanding. Now, I think knowledge and discussion develops appreciation and respect no matter what field you study. I thoroughly enjoyed the trip to the Prado because I had been studying the historical significance and the lives of the painters that led to the creation of the works. I think it was a lot more interesting to look at the paintings in context instead of just viewing the works as isolated arrangements of colors and shapes. Now that I know that I have more of an interest in art, I would like to try to visit some museums here in the United States. This study abroad to Spain has been valuable to my life for many reasons. Firstly, this trip was the first time I had ever travelled solo. Having to plan, budget, and travel by myself really developed my confidence and independence which are important for becoming a contributing member of adult society. I think the exposure to new concepts and ways of living has made me a more well-rounded person and allowed me increase my ability to adapt. It made me realize that I am not dependent on other people to go travel and made me want to go explore more cultures and countries. Living in another culture has increased my openmindedness and made me more accepting of manners of living that are different than my own. There are so many people even within the United States who come from different backgrounds with their own customs and values. I believe it is important to be accepting and celebrate diversity because it is our differences that make us stronger. I ,also, gained a lot of empathy for people that have to learn English as a second language because language acquisition can be frustrating at times because it is hard to demonstrate all the facets of your personality if you do not have total command of the language used to convey it. The final reason that this trip was very valuable to me was the amount of practice it allowed me to have with my Spanish skills. I have wanted to be bilingual for a long time because I want to be able to communicate with a larger percentage of the world. 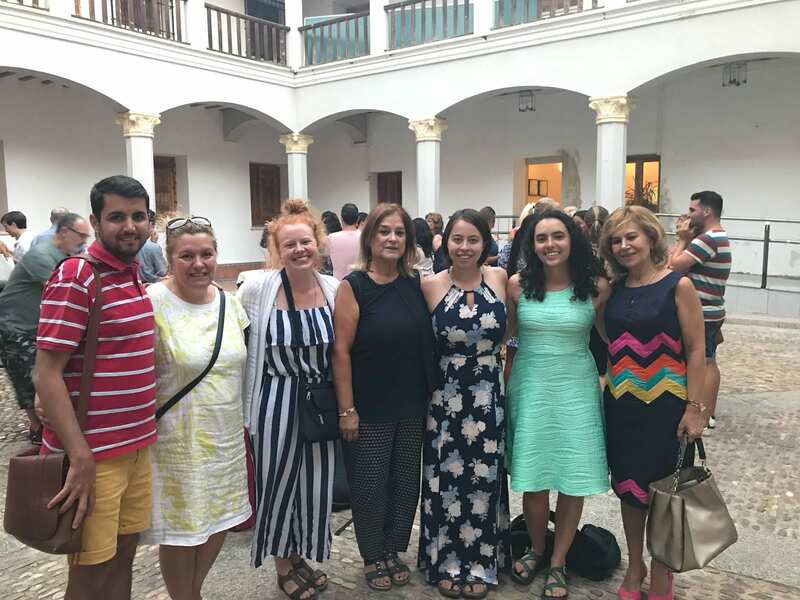 This trip allowed me to be immersed in the Spanish language and live with someone who helped me practice every day in a patient, supportive manner. While I still probably would not say I am fluent, my Spanish have improved tremendously, and I am able to communicate pretty effectively. It has only inspired me to continue improving my Spanish and seek out opportunities to practice in my hometown.